The first modern contact with the Ethiopian Jews was by Scottish explorer James Bruce, who was searching for the source of the Nile River. When Bruce came upon the ancient Jewish community of Ethiopia at Gonder In 1769, many had the sign of the crucifix tattooed on their foreheads to signify their link, as messianic Jews, to Christianity. The Beta Israel population at that time was estimated to be about 100,000 souls. With the end of World War II, the Jewish homeland, the State of Israel, was established in 1948. 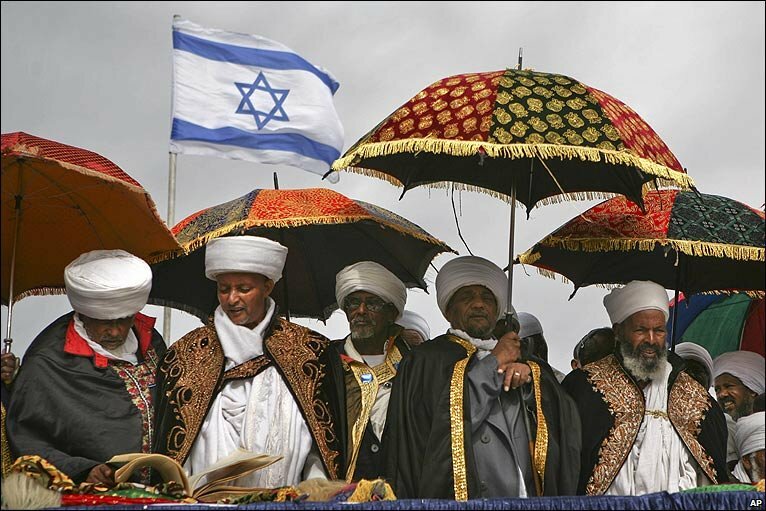 Then began the aliyah or “ascent” or “going up” — the Israeli law of return — of many of the Jewish communities spread all throughout the world including that of the ancient Jewish community of Ethiopia. In the case of Ethiopia this aliyah continued, sometimes a trickle and at others a flood, for over 60 years. With the secret Operation Moses in 1984 and Operation Solomon, in May of 1991, the total number of Ethiopian black Jews welcomed to Israel as family finally reached significant numbers. By June 2011, including a last group of over 8,000 Falash Mura who were identified as the Ethiopian Jews who would be able to make one final aliyah to come to the land of Israel under the ancient Law of Return, the total stood at nearly 80000. 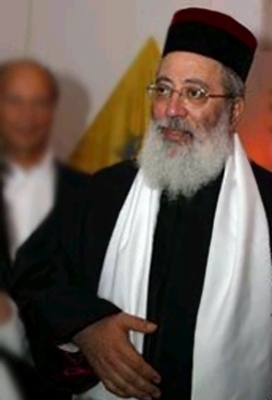 Ethiopian Jews religious leaders are Priests rather the more traditional Rabi counterpart. The Priests use a different kosher slaughtering method to the traditional European and North African ritual. The ancient language of Ge’ez is their language of prayer. The Hebrew Bible or tenach, is called the Orit and is also in Ge’ez. There are many other differences including the wedding ritual and for example the feast of Rosh HaShanna. 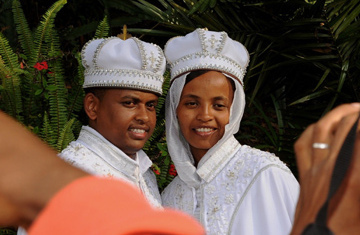 To the Ethiopian Jews their versions embody a tradition of more than 2,500 years standing and they are not in a hurry to change. Thank you for this article. I have been studying the tribes of Judah off and on and I am pleased to see this exposure. I am a student of Al Islam, which I know both were spawned from the Prophet Abraham, peace and blessings upon him. King Solomon was the son of the hebrew King David who came from the tribe of Judah, the leading tribe of the Kingdom of Judah. The Bible tells us that our Lord Jesus Christ came from this royal line, based on God’s promise to King David of an everlasting throne for his offspring. Islam first made it’s appearance about one thousand five hundred years after the reign of King Solomon.